Startup Monday is ABCey’s weekly post that features some of the best and brightest companies in the Bay Area. They are often companies that we have our eye on, or have worked with in the past & would like to share with friends and followers of ABCey Events! 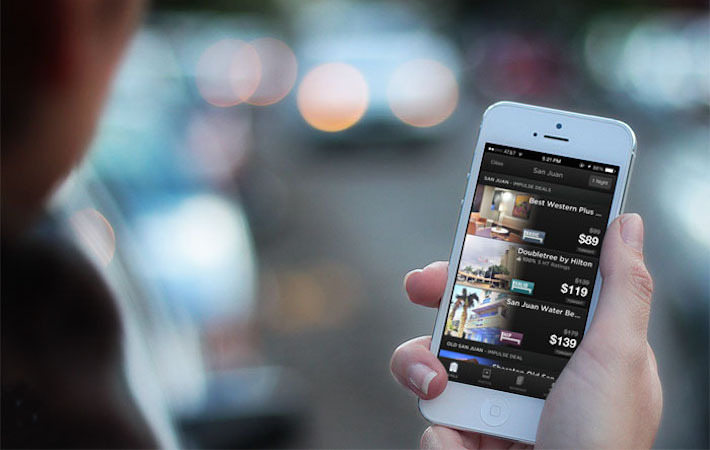 Today, we want to highlight Hotel Tonight, a useful app that helps you to book hotels last minute! Event planning can get hectic and with your busy schedule, you might forget to book a hotel for you or your attendees. Don’t be forced to pay these outrageous prices that can rise up to 300%. At ABCey, we have an app to solve this problem: Hotel Tonight! This app was awarded the best-on-demand service at the 8th annual tech Crunchie Awards and definitely deserved it! Of course you should always try to book hotels in advance. But if you are stuck in a bind, Hotel Tonight is a great app that gives you the best prices for last minute hotel reservations. After downloading the app on your mobile phone, you’ll have a great variety of available rooms! Also, we love this app because it includes the mood of the hotel. From hip to charming, you can experience hotels like never before! By comparing major travel sites, Hotel Tonight gives you the best hotel options and the biggest bang for your buck. Additionally, if you introduce this app to someone, both you and your friend get $25 off their first stay. But there’s more! They have amazing 24/7 customer support to ensure your last minute hotel reservation is perfect. So if you’re in a bind for a hotel, try out Hotel Tonight to get your last minute room for the best price and the best experience! Have you used Hotel Tonight before or are you thinking of using this app? Let us know in the comments below or on Facebook and on Twitter!